Cardinal Blase Cupich of the Archdiocese of Chicago and Msgr. Michael Boland, president of Catholic Charities of Chicago, were scheduled to award the members of the Chicago Region with the Bishop M. Conway Caritas Christi Urget Nos Award on October 4 at Catholic Charities’ annual luncheon. The honor was to be conferred for the region’s work rehabbing and renovating the House of the Good Shepherd, a shelter and home for abused women and their children. This sustainable service project is a joint effort of the Federal Association and the American Association in Chicago. This event is but one of many in the busy Chicago Region, as described further in the following notes. 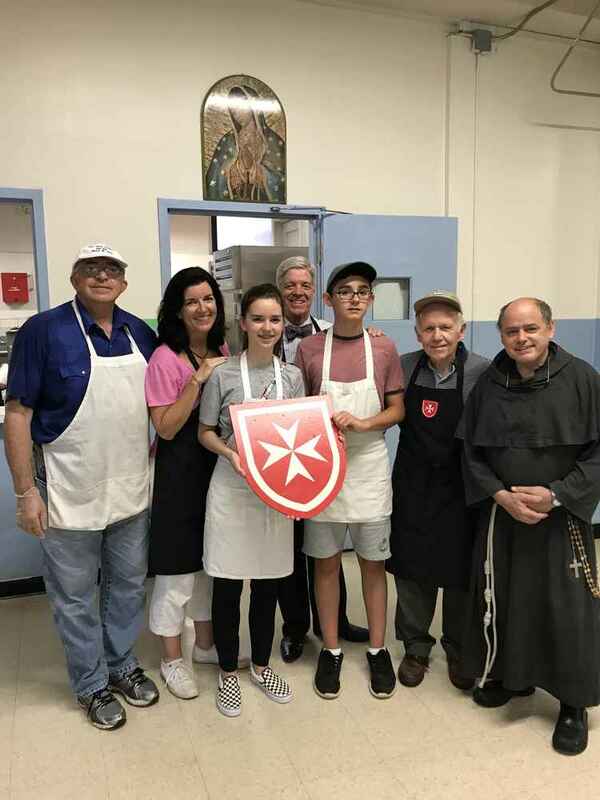 -- At breakfast following a recent First Friday mass, members celebrated Dr. Richard Feely making his promise as a Knight of Obedience. His regional confreres presented him with a framed papal blessing for his decision to strive toward a life leading to Christian perfection in the spirit of the Order and the sphere of its works. He added that “I prayed about it and thought I should do that as a form of discipline and getting closer to God through the act of humility and sacrifice.” As a Knight of Obedience, Richard is now a member of the Subpriory of Our Lady of Lourdes, which assists its members in leading a life of spirituality and in being a strong, shining light to members of the Third Class of the Order. -- The region held a Healing Mass and Anointing of the Sick for malades and their companions in September at Our Lady of Sorrows Basilica. After Mass, knights and dames served lunch to all in attendance. 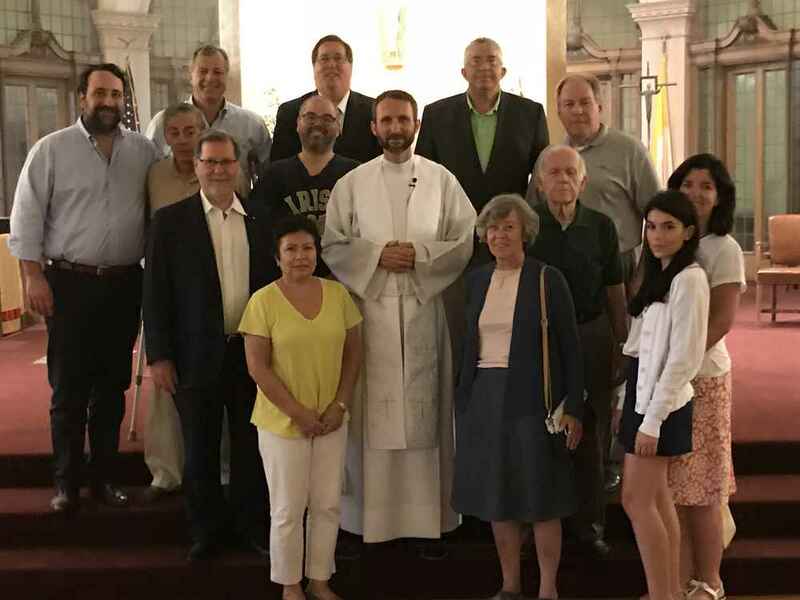 -- Chicago Region members gather for quarterly visits to parishes around the city and suburbs, where they spend prayerful time in adoration, followed by dinner and conversation with the pastor of the local church. Most recently, members visited Bettina and Frank Gembala’s parish church, St. John of the Cross in Western Springs, and Ted Makarewicz’s parish church, Our Lady of Victory in Chicago. -- Besides working together to serve the poor and the sick, members enjoy each other’s company in other ways, as evidenced by the recent men’s golf outing at Evanston Country Club, with dinner afterward at Stefani’s Prime in Glenview. -- Women of the region who share the love of the great works of the Order—both dames and wives of knights—gathered in early September at the home of Amy and Jack Shine to feast with friends, old and new, over a fabulous dinner. This is the second summer that these women have gathered, and they look forward to next year’s get-together. -- Other forthcoming events in the Chicago Region include volunteer monthly service at the soup kitchen at St. Thomas of Canterbury Church, a signature project of the Chicago Region; Mass for Deceased Members of the Order in November; and serving lunch to several hundred guests at a Christmastime party at Our Lady of the Angels Catholic Church.